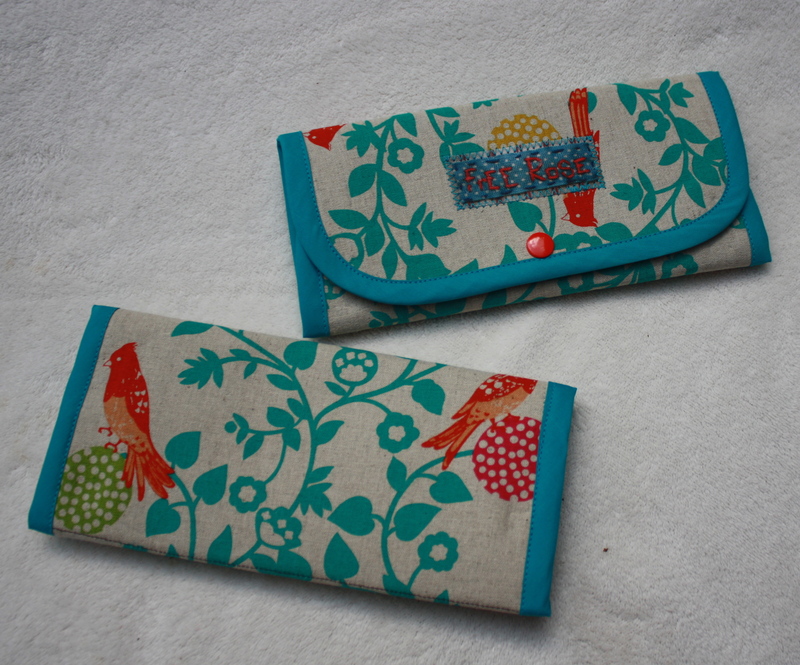 If you are looking for a ready to ship, but still one of a kind gift, my new wallets are for you! And they are available in my etsy shop now! And to make them even more unique, I use recycled fabrics from my scrap collection to ensure that each wallet is special. The current pattern offered is made from a combination of Japanese Echino linen fabric and hand picked scraps from my remnant pile. I carefully center the beautiful and striking bird pattern before cutting the shape of the wallet. A recycled vintage zipper keeps your change securely in it’s own compartment, which is beautifully lined in a coordinating print. Open again to reveal a charming and fun interior, created from a mix of remnant fabrics. Everything has it’s place, as this wallet features on large pocket for cash, 4 credit card pockets (roomy enough to hold more than one card in each) and another full width pocket at the bottom. The edges are carefully bound with contrasting cotton bias tape and finished with decorative stitching. The wallet closes with a professionally set resin snap. Thanks for browsing, I look forward to adding more soon, using my stash of vintage dress fabrics. Please comment with your thoughts and suggestions!